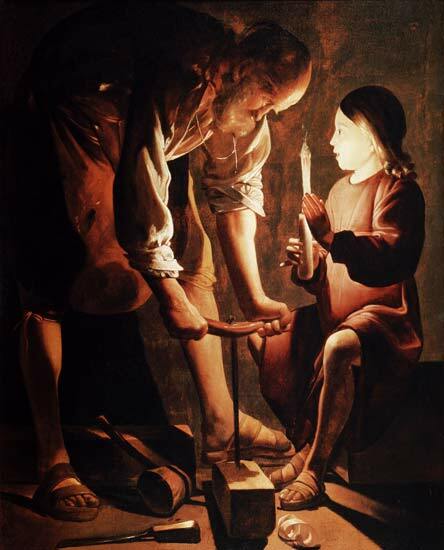 A blessed and joyous solemnity of Saint Joseph to one and all! The silent saint from the Gospel, husband of the Virgin Mary, and foster father (protector) of the Christ, was proclaimed the patron of this country at its very origins, by none other than Samuel de Champlain, on March 19, 1624, a choice later ratified in a more Magisterial manner by Pope Urban VIII, the same one who would authorize the Jesuits in their mission to Canada (Jean de Brebeuf arrived in 1625), and the same Pope who would be embroiled less than a decade later, sadly, in an historically significant tiff with his former friend and confidant, Galileo. Canada has gone through many trials of late, and seems to heading for many more, under the ideological increasingly-dictatorial regime of Justin Trudeau, whose Catholic credential leave much to be desired. He is a graduate of a high school named after Brebeuf, but has not exactly followed in the great martyr’s noble footsteps. Rather, he – and many others -seem intent on undoing the Faith the blood of the martyrs sowed, or what little of it there is left. Yet as I will never tire of rehearsing, it is ultimately God Who is in charge, and He needs but a ‘little’ to do quite a bit. As Scripture signifies, He is wont to exercise that power in a way hidden from the world’s notion, through those to whom He gives some share in His authority, not least Saint Joseph, to whom, like the eponymous patriarch in Egypt, God has made ‘master of His possessions’. Like any good servant, Joseph did what he was asked to do, even if it made little sense to him at the time. Marry his fiancé who was with child – I should say, Child – by mysterious means? Yet as today’s readings signify, Joseph was a just man who lived by faith. And just as God willed that the strong and capable Joseph guide the Holy Family through travails large and small, Saint Joseph will see us through, one way or the other, even, and especially, when things make little sense to us. Scandals, erroneous teaching, incipient schisms, and malfeasance are rocking the Church, threatening to tear her asunder, but God sees all, from the least to the greatest, and in the end, He will laugh all the apparently powerful to derision, when in the end He makes all manner of things well. In this way the whole Christian people not only will turn to St. Joseph with greater fervor and invoke his patronage with trust, but also will always keep before their eyes his humble, mature way of serving and of “taking part” in the plan of salvation. This is a day of obligation in the universal Church, a duty which, for reasons known to them, the bishops in Canada have abrogated, perhaps realizing that few will attend Mass, even if ‘obliged’. But let us, if we can, be amongst those few, and, if we cannot, ite ad Joseph in some way or another, in prayer, in supplication, and may the mighty saint intercede for us, our families, our schools, our Church, our Dominion of Canada, and for the world.